Happy New Year everybody! Real life put the blog on pause, but the start of another year is a great time to revisit good things. Resolutions, anybody? There are the usual, like working out, eating healthy… Perhaps I should eat a freshly picked salad. What do you mean by “freshly picked”, Dave? Pennsylvania is a bit cold to garden in January. Unless you misspelled “pickled”. Happy New Years Eve! Have you been drinking? OK, two things. First, I’m not drinking… yet. And, I’m not picking salad… yet. But I will be picking a bowl full of salad in January. Remember the far out grow lights I posted about earlier? They are being put to good use. 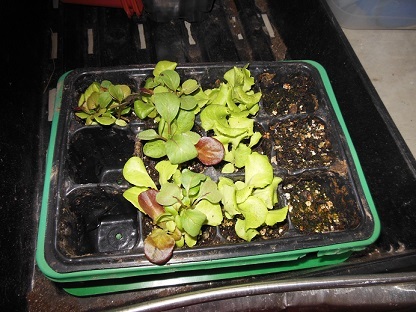 A few weeks ago, I started some mesclun and lettuce seeds. That is not a typo. That should not say “mescaline”. 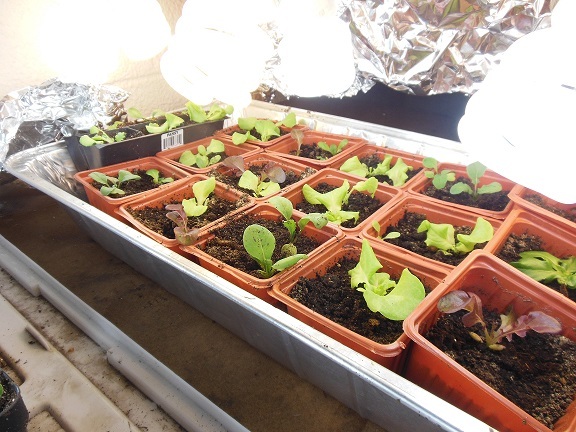 Tell people you have a grow light and God knows what ideas they get. Mesclun, for those that do not know, is a mixture of several different types of salad greens and leaf lettuces. They are often harvested when young. 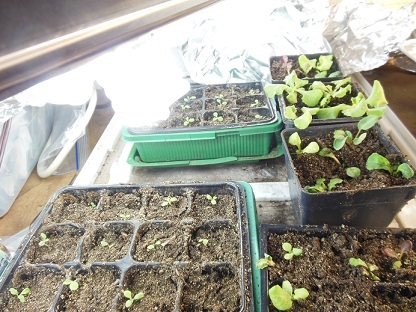 I transplanted the seedlings last week. We learned our lesson from last year and assured the planting medium and neighboring plants are not contaminated with aphids. Note that you should plant additional seeds every 2-3 weeks to ensure continuous harvest. The lights are on for approximately 16 hours a day. I am watering frequently, but also setting up a fan to provide seedlings with a breeze. The purpose is two-fold. A gentle breeze strengthens the stems of growing plants. In addition, the breeze helps prevent damping off. Off topic– I saw a band perform at a (Penn State?) bar back in the 90’s. The memory is cloudy, so I don’t remember the venue. Further, I don’t recall much about the performance. I do remember the name of the band– they called themselves Angry Salad. They also had the funniest, most memorable band sticker I have ever seen. The sticker had a picture of a full salad bowl, with two human hands sticking out, flipping the bird at everybody. Back to the growing lettuce mix. Everybody should make a resolution to plant a few seeds indoors this winter. You’ll be glad you did.